My MMD motion data doesn’t work! 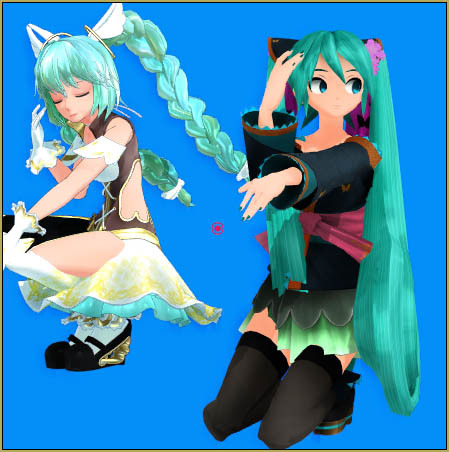 My MMD models react differently to pose and motion data. Why does my pose data look bad on my model? 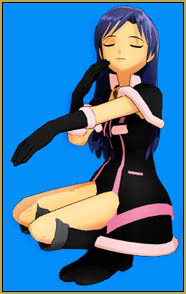 When you load a pose onto an MMD model, you expect that model to strike that pose! … but, as we see in this test, not all models react as you expect. Different models “read” their pose data differently. I started with my Angelpie model (I can’t give a link because she was a short-time-only promotional model and is no longer available online). 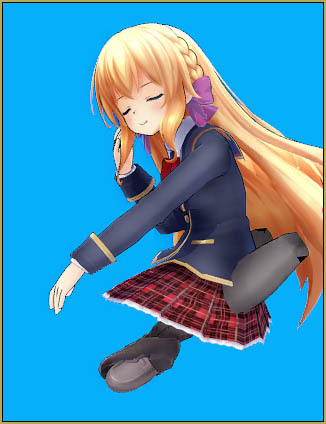 Then I loaded Miku Cagada (model no longer being distributed)… and see how different is her “take” on that pose data; knees on the floor, left arm straight out, and the face didn’t get the message, at all! (model no longer being distributed) and saw that she, too had a different take on that pose. 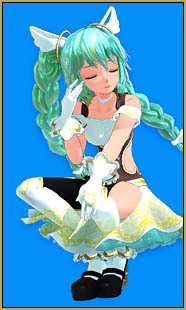 Cute Miku “saw” the pose data in the same way as Angelpie… looks very similar! THAT model reacted in a bizarre way with those knees splaying-out BEHIND her! THE LESSON: If you have a motion to try in MMD… you should audition several models to find the one that looks to be just right for your animation. Note, too, that a motion may rely on your model having a motherbone… and a model, without that bone, may not perform correctly.